Even though the show is still waiting to begin at Staples Center in Los Angeles, The 54th Annual Grammy Awards have already given out plenty of awards and UTG has the revealed winners thus far. 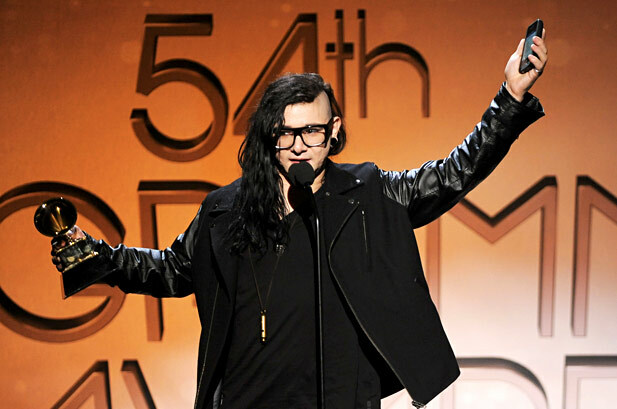 Dubstep/electronic artist Skrillex has taken home three awards, Best Dance/Electronica Album Scary Monsters and Nice Sprites, Best Dance Recording for the album’s title track, and Best Remixed Recording of his Benny Benassi remix of “Cinema.” Kanye West picked up three Grammys as well, Best Rap Album in My Beautiful Dark Twisted Fantasy and two awards in Best Rap Collaboration/Best Rap Song for “All of the Lights.” Adele won Best Pop Vocal Album for her sophomore effort 21. Rock act Foo Fighters took home Best Rock Album for Wasting Light, Bon Iver won for Best Alternative Album, and Taylor Swift for Best Country Solo Performance/Best Country Song her hit song “Mean.” Tony Bennett took home the award for Best Pop Duo/Group Performance for “Body and Soul,” alongside the late Amy Winehouse, and a award for Best Traditional Pop Vocal Album for Duets II. Betty White won a Grammy for Best Spoken Word Album for “If You Ask Me (And Of Course You Won’t),” while Louis C.K. took home Best Comedy Album Hilarious.